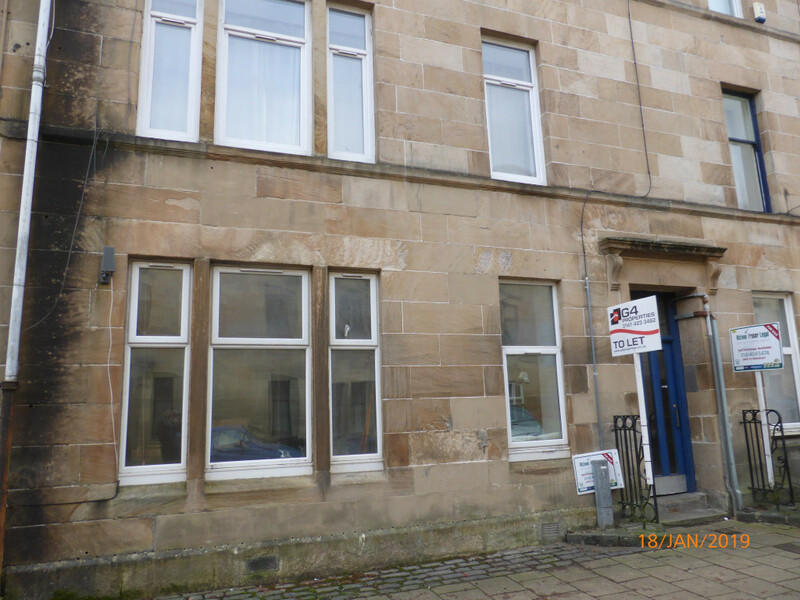 G4 Properties are delighted to present to the market this impressive two bedroom, unfurnished, sandstone apartment centrally located in the town of Paisley close to all amenities and transport routes. The property comprises entrance hallway, bright lounge, separate kitchen, double bedroom, single bedroom and bathroom with shower over bath. Further benefits include free on street parking, secure door entry and low council tax band A. This flat is ideal for a professional person or student looking for a fully contained property within close proximity to the Royal Alexandra Hospital & The University of The West of Scotland. Further internal pictures to follow.